FREDERICTON, NB – After a soft launch last fall with a limited edition collaboration created with Picaroons Traditional Ales, veteran homebrewer Stephen Dixon officially launched his Grimross Brewing project this past weekend with the release of his first solo brand. Cheval D’Or, a Belgian-style farmhouse ale, went on sale yesterday in 750 ml swing-top growlers at the Picaroons Brewtique in downtown Fredericton, the same location where Grimross beers are being brewed. Three additional brands have been given ANBL approval – Belgian Blonde, Belgian Rye IPA, and the 100% Brettanomyces-fermented Chantelope – and all are planned for future release. 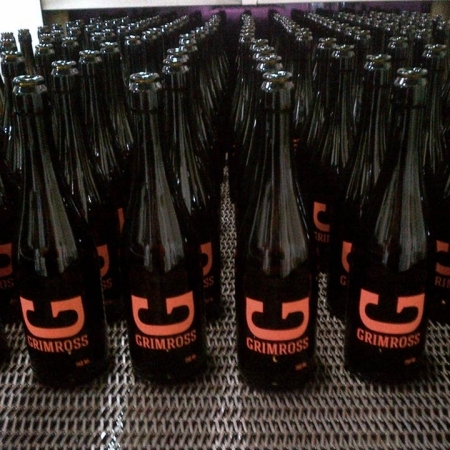 Grimross beers will also be distributed on draught to select licensed establishments in the Fredericton area, with availability details to be announced soon.